We have identified parent engagement as the common link- regardless of the age of the child. 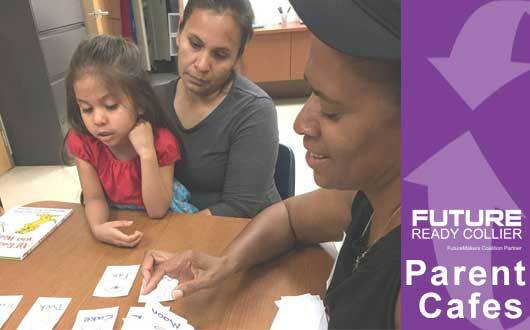 And then, after learning about Strengthening Families, a nationally recognized framework that builds on the strengths in families, rather than the gaps, we have realized that building parent-to-parent relationships and information-sharing will significantly impact their children. As a result, we are working with Be Strong Families in Illinois to bring the tools of this framework to Collier County. Thanks to the Richard M. Schulze Family Foundation, we will have this opportunity for a one-time investment in our capacity as a community. 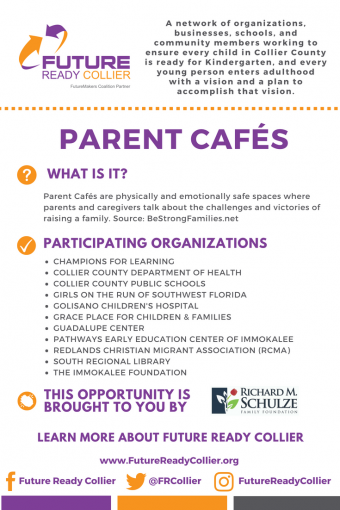 Starting soon: Future Ready Collier Parent Cafes!